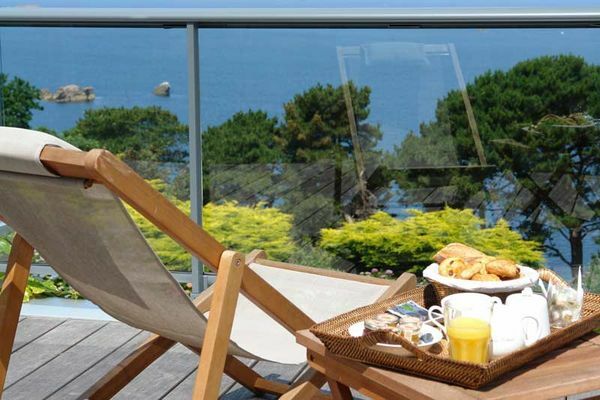 Not far from the lively centre of Perros-Guirec, bordering the path leading to the beaches at Trestaou and Trestignel, a little oasis of calm. 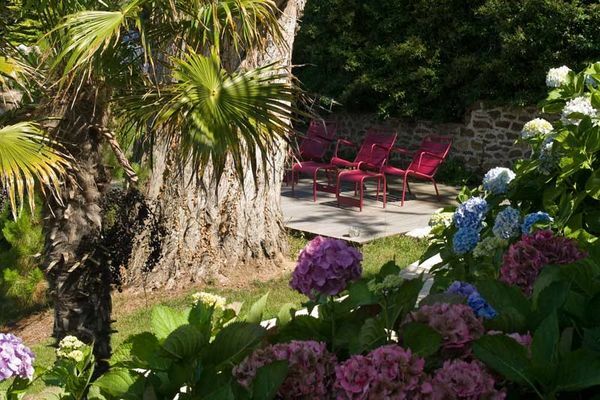 Facing out to sea and the Sept-îles (Seven Islands), this large, early 20th century, pink granite mansion offers quiet corners for escaping the world, little terraces and a lounge/library. 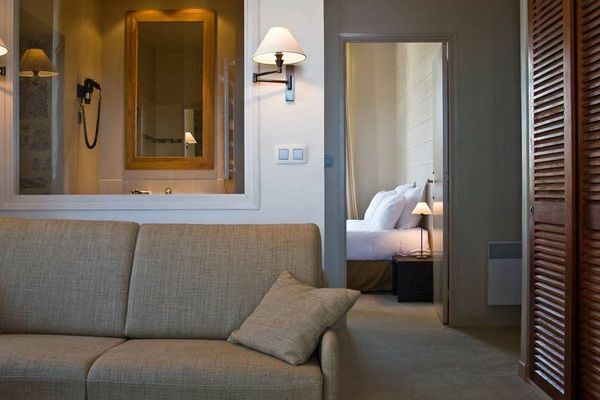 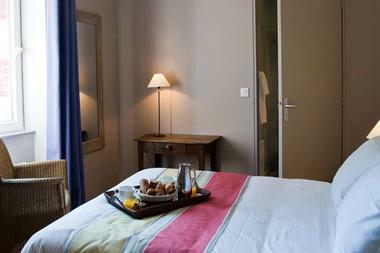 Tastefully decorated, it is just the place to forget your worldly worries. 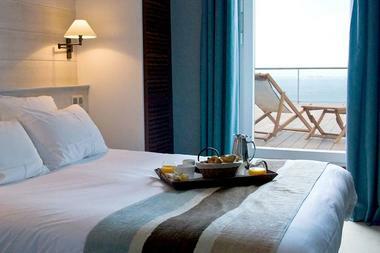 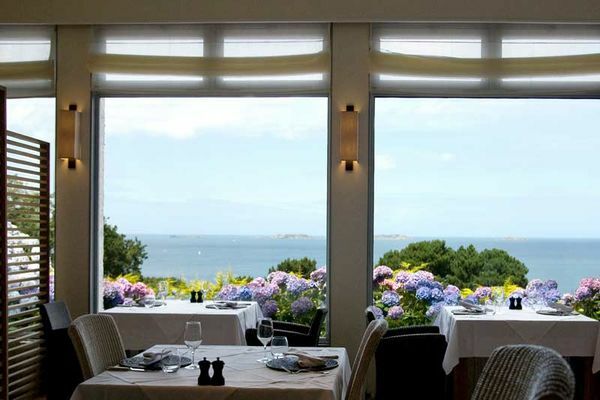 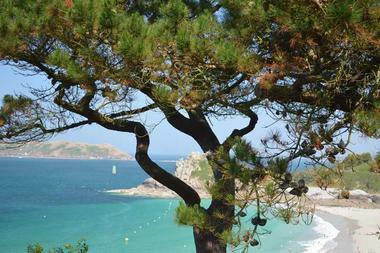 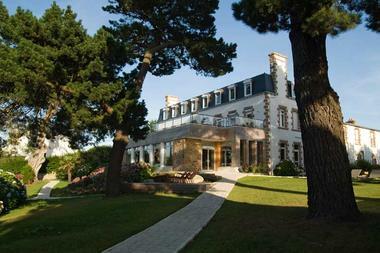 On the coast road at Perros-Guirec, the tastefully decorated hotel is just the place to forget your worldly cares. The simple motto for Philippe and Thibault is “everyone should feel at peace here, far from the madding crowds”. The rooms take their colours from their surroundings – blues, greys and sandy beige for those facing the sea and the hues of heather and the moors for those facing the garden. Some even have a private terrace. In the restaurant with panoramic views, you will find the menu full of dishes based on local farm produce and, as you would expect, sea-food. Don’t hold back!